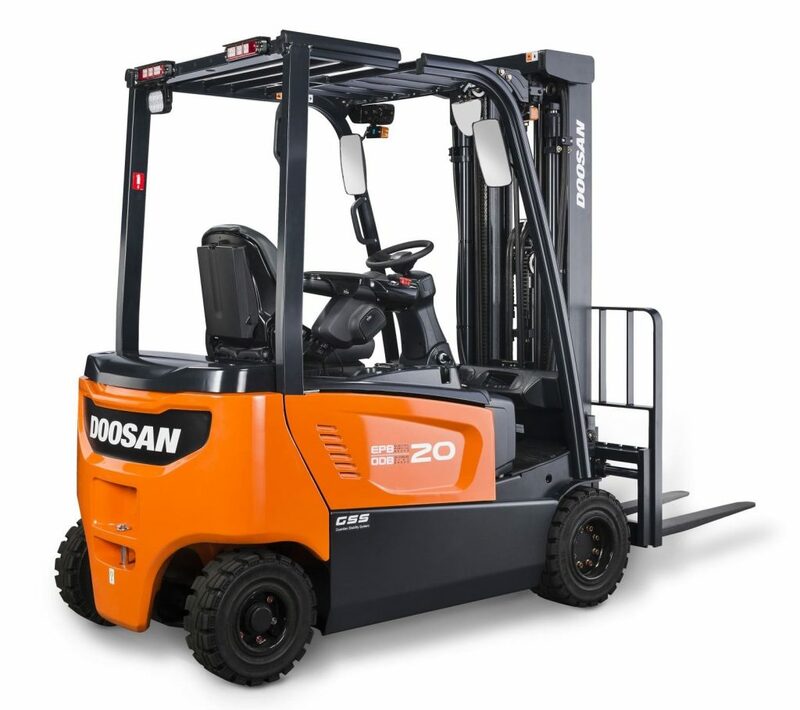 oosan Industrial Vehicle has begun production of a completely redesigned range of 1.5 and 2.5 tonne electric forklifts, with a host of new safety and performance features as standard. Built at the company’s state-of-the-art production facility in South Korea, these are part of the latest 7-Series range and represent a step change in electric forklift performance and value. 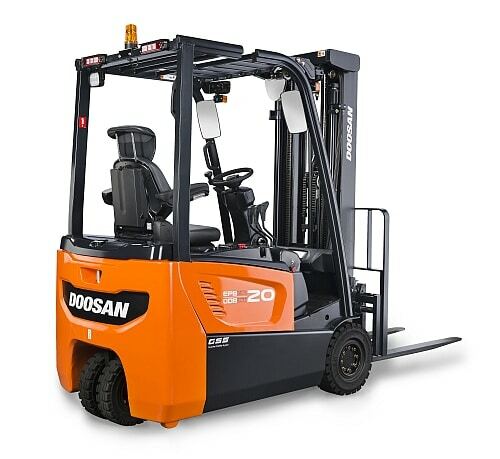 The expanded range, now including long wheelbase variants with increased battery capacity, means that Doosan has the most modern and one of the widest ranges of electric counter-balance trucks to suit any electric truck application. New standard features include latest technology finger-tip controls, an automatic electric parking brake and advanced control system protected to IP65 rating, giving even better protection against water, dust and damp sites where previously only IC engine trucks would be suitable. Other highlights include LED spotlights for better illumination but using less power and vastly reducing bulb failures, upgraded protection packages on the motors and one of the most comfortable seats on the market. In addition, redesigned masts provide enhanced visibility through the mast, with panoramic mirrors providing increased safety and all-round visibility. Paul Watson, UK General Sales Manager, Doosan Industrial Vehicle UK comments: “Our BT/BX 7-Series models represent a complete redesign of our electric truck range that sets the standard for the market. The 1.5 tonne to 2.0 tonne models are now available, with the new 7-series 2.2 tonne to 3.5 tonne models going into production later this year. The existing 5-series giants – 4.0-tonne to 5.0 tonne machines –continue to be available.